Window World TX is proud to be the preferred company for San Antonio window replacement services. 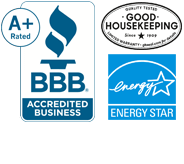 Whether you are replacing broken windows, updating window styles, or upgrading your windows for energy efficiency, we have you covered. All Window World TX windows come standard with an energy efficient glass package to help keep your home comfortable all year long. Come and see for yourself why Window World TX provides the window replacement San Antonio prefers! For professional window installation in San Antonio, Window World TX leads the pack. Our team of experienced and courteous installers will make sure that your new windows look perfect. We offer convenient times and competitive pricing for all San Antonio window installations. Browse our American-made windows today to get started. Don’t forget to ask about financing your San Antonio window installation! Wondering whether you need siding repair or siding replacement for your home? Look first at the material of the siding. Older wooden siding is inefficient and a great candidate for replacement with a masonry or vinyl siding. Window World TX offers the siding replacement and siding installation San Antonio residents prefer. Browse our durable and energy-efficient vinyl siding products today to learn more! In addition to low-maintenance vinyl siding, we are proud to offer residents of San Antonio Brickstone Masonry siding. Brickstone Masonry siding can mimic nearly any brick, stone, stucco or other home exterior style. Its strength is unmatched, so you can forget about worrying about future siding repair. Our home siding replacement installation services are second to none. Call or visit your local Window World TX today to get started!